Gosh, we love Port Douglas so much that we’ve been there together, we’ve been there with friends and relatives, and we’ve been there with the kids, many, many times. Kirsten celebrated her 40th birthday in Port Douglas with close friends and family, and it was on that day, after a fabulous dinner at On The Inlet, that Mark proposed. 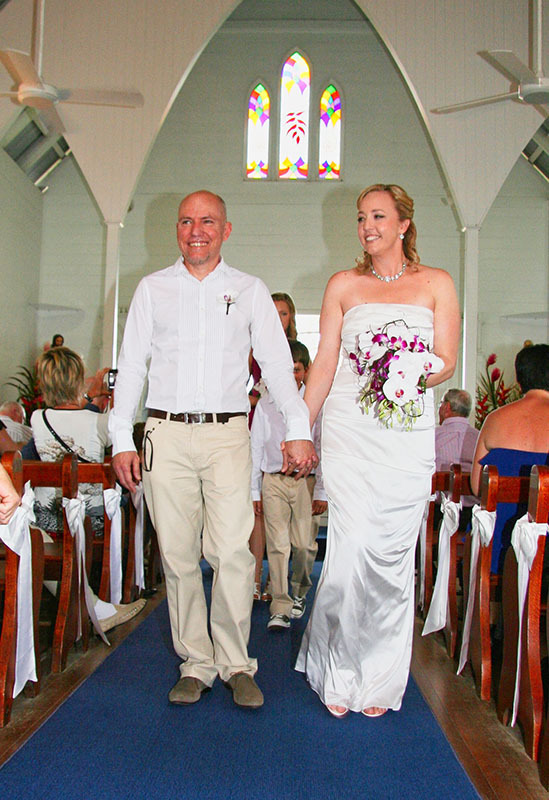 This holiday coastal town in the tropics of Far North Queensland is so darned romantic that we also got married there the next year. Having a wedding in PD, and getting our closest family and friends to join us in our Australian paradise was perfect. We want to share our love of Port Douglas with everyone. Having a beer and a bucket of prawns while watching George the groper being fed at On The Inlet. Ok, 250kg George doesn’t always show, but they prepare for his feeding around 5pm everyday and it’s a fun way to end the day and lead in to dinner. Dinner at On The Inlet is also great, sitting al fresco, with water all around. Snorkeling on The Great Barrier Reef. This is a whole day experience, and has a pretty high price tag. But you don’t want to miss experiencing one of the Seven Natural Wonders of the World. See this while it still exists. The boat trip out is fun too. Wetsuits, lunch and life jackets are supplied. The Wildlife Habitat. Feed the very tame kangaroos, see the wonderfully colourful Australian birds as you walk through huge enclosures and get up close to Koalas. Ah Australian animals, how gorgeous you are. This place is a much better experience than any zoo we’ve been to. Visit the Daintree Rainforest! 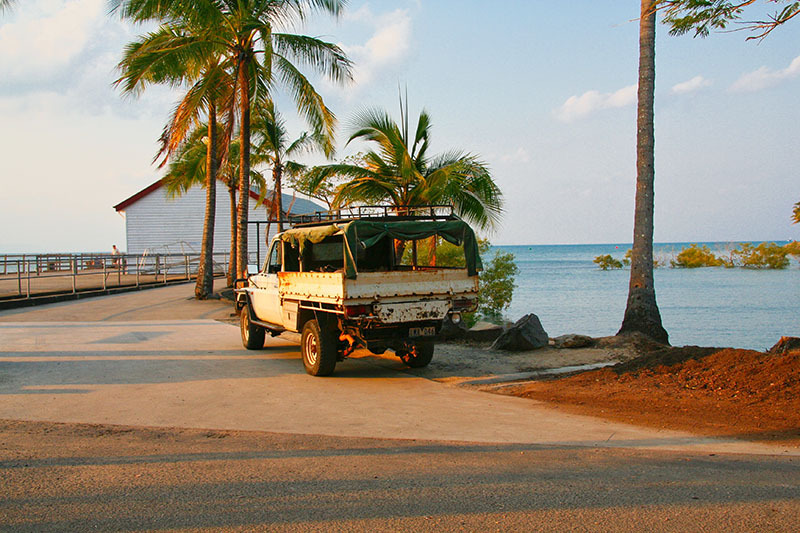 A lovely drive north through sugar cane farms you will take you to the Daintree Rainforest. Here you can go ziplining through the trees, or get on an open boat to spot the multitude of crocodiles living in the Daintree River. Kuranda Market is a fantastic day trip. 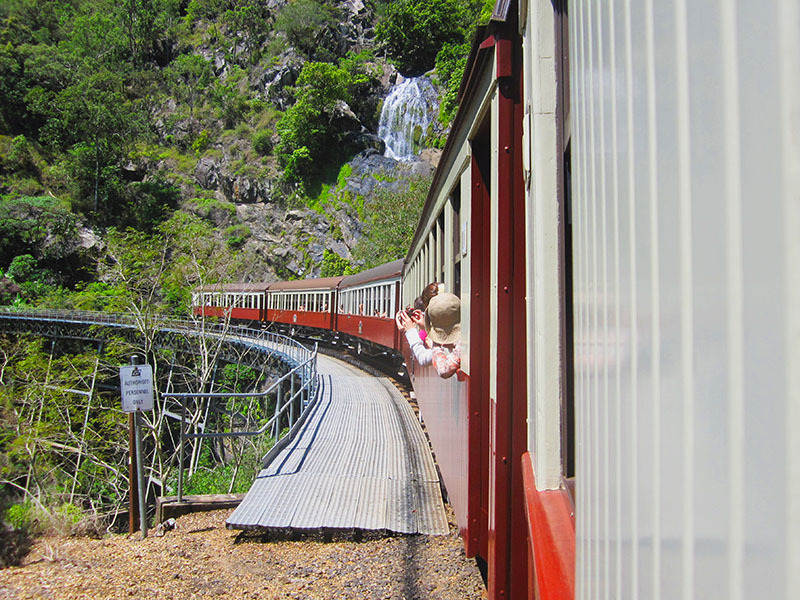 It’s closer to Cairns than Port Douglas, and definitely worth the drive even for the Scenic Rail Experience taken one way, and the spectacular Skyrail Cableway the other. The Skyrail Cableway takes you above the treetops of the Barron Gorge National Park, part of the Wet Tropics World Heritage Area. It’s is a wonderful way to see the rich colours of the tropical rainforest from above. The Kuranda Market itself is a great place to pick up gifts and crafts from the area. Test your luck at the Cane Toad races at the Iron Bar. For a fair dinkum Queensland bit of fun, we love this. Don’t forget to kiss your toad at the end. Wander the shops and dine at the many restaurants on Macrossan Street. There are a multitude of surf shops, boutiques, and paraphernalia available on Macrossan Street, plus many places to get a drink or a bite to eat, or an ice-cream. 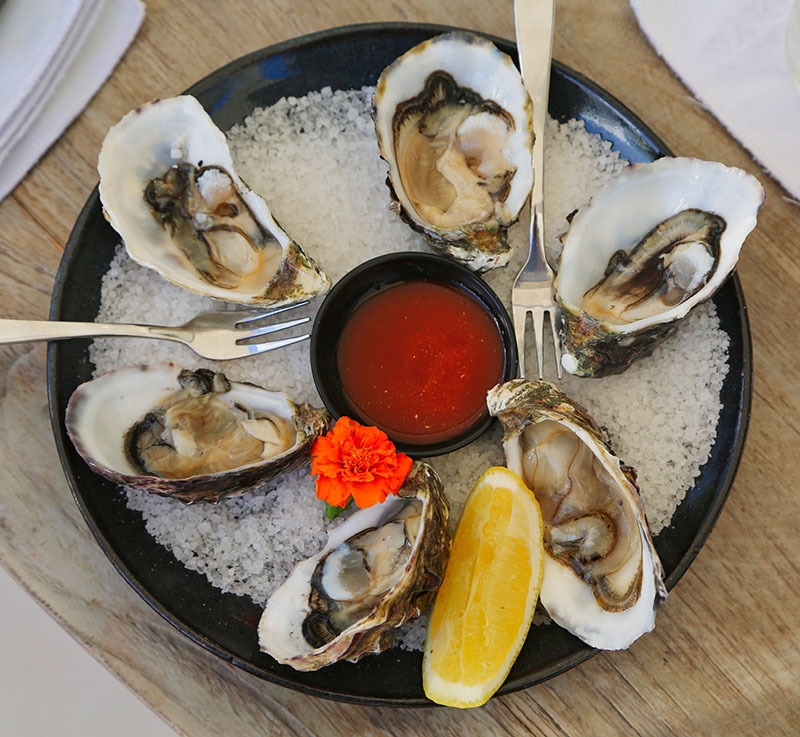 Some of our favourites spots are: Zinc Restaurant(we had our wedding reception here), 2 Fish Restaurant, Salsa Bar and Grill, The Little Larder (great coffee, brekkie and lunch), Bel Cibo and Central Hotel Port Douglas. There is plenty to choose from, for all budgets and sizes. Hot Tip: Staying close to Macrossan Street means you can be close to the quaint stores, restaurants, and reef departure point while also being close to the beach. Please contact us for any assistance or ideas for a Port Douglas holiday – we LOVE this place and would love to help you plan your amazing holiday in a tropical Australia paradise.